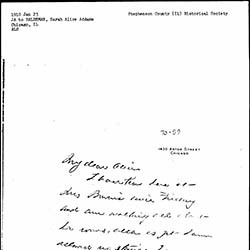 Addams directs an accidentally opened letter to Anna Addams, her step-mother. 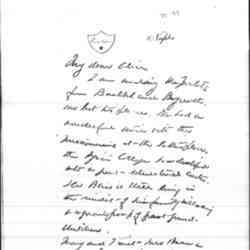 Addams forwards news of their cousin's death and asks when Haldeman might travel to Cedarville. 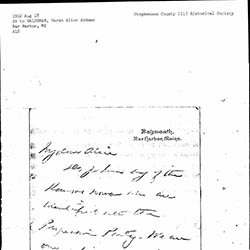 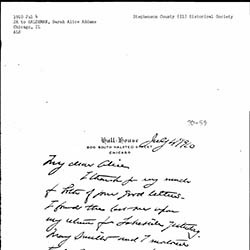 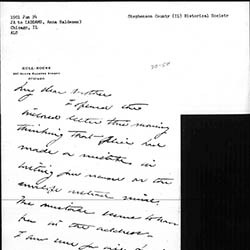 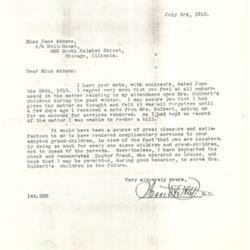 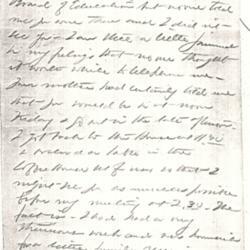 Addams writes Haldeman about her vacation with Smith. 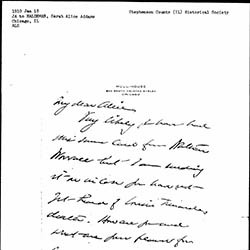 Addams asks Haldeman for names of Kansas women in the Progressive Party and invites her to come to Maine for a visit. 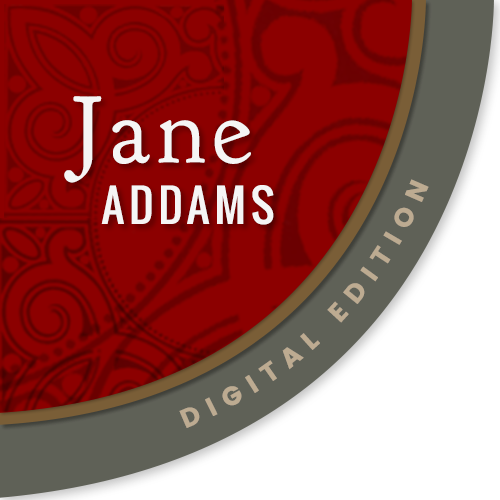 Addams is disappointed to have not seen Haldeman this week but hopes to see her soon.